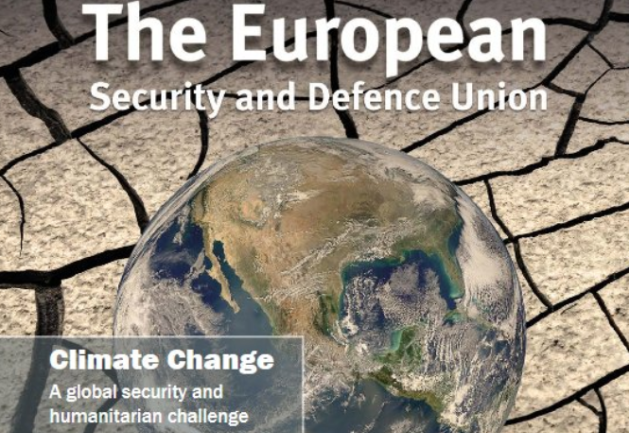 As the need to address climate-related risks gains traction, the European Security and Defence Union journal covers short articles on crunch issues including the Lake Chad Crisis, violent extremism and water, Europe's transitions to a low carbon society, adaptation of energy solutions, among others in an extensive special issue. In the Mopti region of Mali, the livelihoods of most people depend on agriculture and pastoralism. This report makes several suggestions to increase the legitimacy of the Malian state with regard to addressing the conflicts emerging out of natural resource scarcity. The FAO, IFAD, WFP and IOM jointly released a report analysing how competition over scarce resources and the resultant conflict can drive forced migration . When a violent crisis sees an outpour of refugees, this compounds a deteriorating effect on agriculture and food systems, which may result a in cycle of mutually reinforcing dynamics. A new report by the UNDP addresses the predicament of tackling vulnerability stemming from environmental impacts on food security, malnutrition and displacement coupled with growing conflict in the Arab states. Looking at Mashreq, Maghreb, Arab Gulf and the Horn of Africa it envelops experiences from several countries in these four sub-regions. The GLF: Prospects and Opportunities for Restoration in Africa, will be held in Nairobi this year on August 29th and 30th. The event in Kenya focuses on coordination amongst regional actors with the aid of international actors, in support of the restoration of land and forests with an emphasis on the implementation. PSI regularly publishes new items on its website. Copyright © 2016 The Clingendael Institute, All rights reserved.